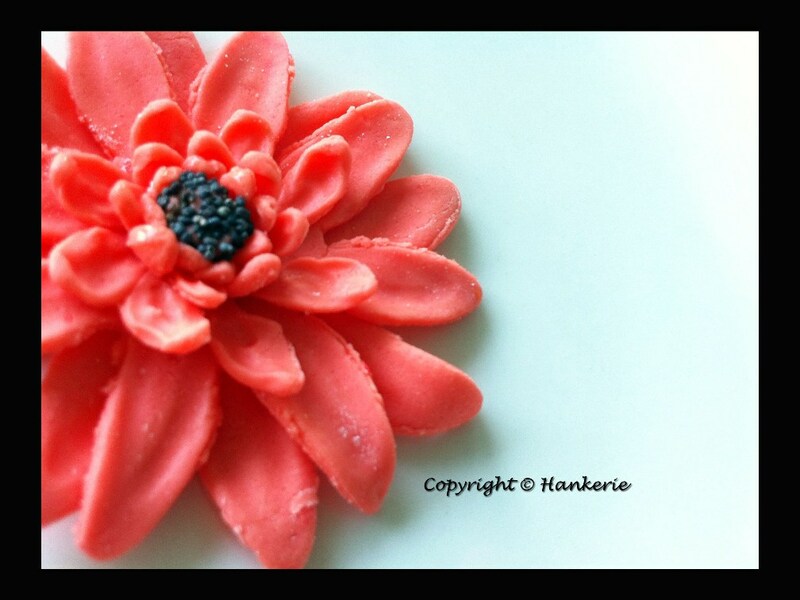 This sugar flower is the easiest to make especially when you have the daisy flower cookie cutters on hand. These daisy flowers can come with various colour that you're aim for, they are perfect for for cake decorating too. I learned how to do this a couple of weeks ago, and I was intimidated before I went, but it is quite simple and so I wanted to share. First, grease your small fondant rolling pin and roll out the fondant as thin as you can, also as evenly as you can. You should be able to see the lines of your mat clearly when it is thin enough. 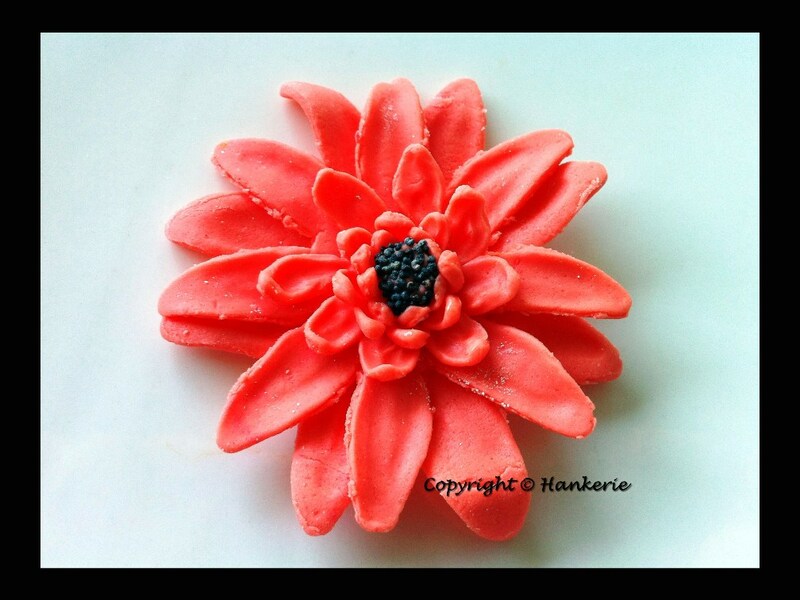 Using your fondant daisy flower cutter, cut out as many flowers as you can. Make sure you press down firmly, so that the cutter cuts all the way through. Carefully transfer your flowers to a space where you can keep them covered as you work, so they don't dry out. Dust your fondant pad. Get out your veining tool if you have one (I do not have one, so I just use the normal liner tool) and working with one flower at a time, gently and slowly pull down the petals to curve them and lengthen them. Be careful, if you do this too fast or hard, you can break the petals. When you are finished with the petals, and have completed several flowers, dab the middle of one flower with some water. And press another completed flower on top, alternating the petals, in between one another. Repeat until you satisfied for the layers. For the center, sprinkle some poppy seed in the middle. Stay tune for more sugar flower entries.